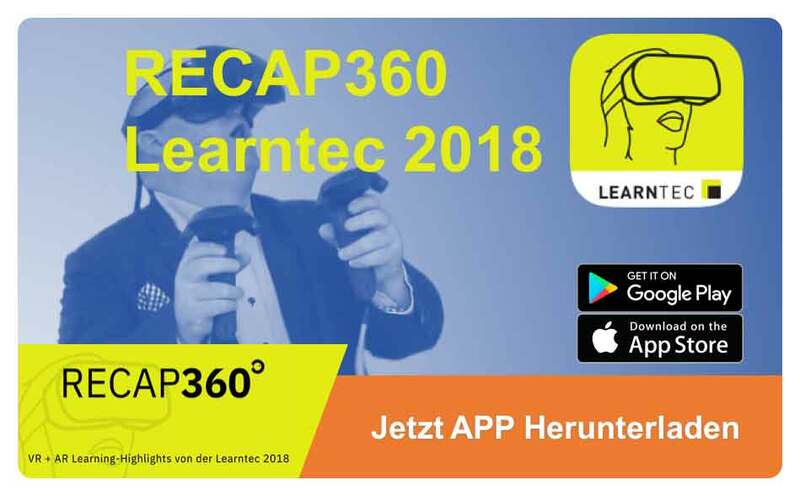 Educators have long been some of the most intrepid users of AR technology, seeking out innovative ways to engage young people with the technologies and devices they most enjoy engaging with. Kim Maslin is no exception – with an impressive track record of integrating digital technology into her lesson plans and book releases, helping young people engage with a wide array of important topics. Previously, we’ve spoken to her about her Zappar-powered book ‘The Tweeting Galah’, exploring how AR is opening up a world of new possibilities for publishers. This time, we chatted about her amazing follow-up, ‘The Surfing Penguin’, tackling the exceptionally relevant issue of cyber safety and the challenge of keeping young people safe in our hyper-connected digital world. With pioneering research such as ‘The Layered Report’ showcasing the positive impact AR has on both visual attention and heightened memory retention, Kim’s work is a fantastic example of utilizing AR to both enhance the learning experience and open the doors to important conversations with young people and their guardians through fun interactive experiences. James Wright: Hi Kim, great to speak to you again! Could you start us off with an overview of ‚The Surfing Penguin‘ and your background as an educator? Kim Maslin: So ‚The Surfing Penguin‘ is a selection of four short stories, each featuring an Australian animal experiencing life as a primary school aged young person. It follows their experiences as they learn how to navigate the online world in a safe and healthy way. Each story focuses on a key issue of online safety, such as how to deal with viewing inappropriate content when that inevitably crops up, cyberbullying, online gaming and the issues of trolling and the risks of sharing personal information online, such as your location. So it complements the series of issues discussed in ‚The Tweeting Galah‘ book. I trained as a high school teacher and initially worked in high schools teaching technology and media. But I’ve also worked in primary schools with digital technologies and worked on workshops with adults too. All in all, I’ve taught 5-year-olds to 85-year-olds! JW: How did you get started working AR into your lesson plans and books? KM: So, my latest book, ‘The Surfing Penguin’, is the second one I’ve produced that incorporates AR. The AR from my previous project, ‘The Tweeting Galah’ was really well received by parents and students, so it was a no-brainer to keep including it. It’s illustrated by John Field and it’s a really cool way to bring his depictions of the characters to life. I feel like the age group I’m targeting, particularly those in the seven to eleven-year-old group – they’re just so saturated with games and other forms of interactive media. So if you can find a way to bring that into the classroom in a positive way – into learning, into reading – it just really enhances their engagement and from that, the learning outcomes too. JW: Is that related to you utilizing smartphone devices and leaning into the platforms young people enjoy using, rather than pushing them away? KM: That’s right – it’s about finding ways for young people to use their devices in constructive, meaningful ways. I’m passionate about educating young people about how to do that. JW: So what motivated you to use AR to deal with online safety? KM: I was working in a school at the time and doing my own cyber safety workshops for parents. I felt at the time that parents were still feeling very overwhelmed and a lot of the content was really focused on children aged 13 and up – there was very little content on this topic for the kind of seven to eleven age range. So I really wanted to find a more innovative and fun way to educate these groups at the same time. I felt an AR-enabled book was a good medium as it’s linking it to an activity hopefully young people and their parents were already engaging with at home or at school would be a new way of approaching the issue. JW: We’ve spoken before about your previous book – ‘The Tweeting Galah’ – how has the AR you’ve incorporated this time built upon that experience? KM: It’s definitely evolved. With ‘The Tweeting Galah’, I made all the experiences myself and a shout to you guys – the interface with ZapWorks Designer was super easy to use! For this latest book, I really wanted to evolve the AR element – to make it more sophisticated and playful. I was fortunate enough to be able to hire an AR developer to work on this project with me. I had ideas about how I wanted the AR to be used and was able to make those a reality. JW: How did you end up building a relationship with an AR developer? I actually reached out to Caspar (Zappar CEO) for advice! He let know that Marc Najera, a former AR designer at Zappar had recently moved to Australia, so we linked up, shared ideas and he put together the experiences for me using ZapWorks Studio. JW: Awesome! So what do you think it is about the inclusion of AR that makes this work so engaging for young people? KM: I think there are a few things, really. For one, it’s an opportunity (or an excuse!) for young people to utilize the devices, like iPads, they tend to most enjoy using and are often desperate to be using in class as it is. I think there’s still a very novel aspect to the technology itself, too. So even though the technology has been around for a little while now and experiences are evolving, it doesn’t change the fact that actually seeing print come to life through AR is still incredibly exciting and engaging. Particularly in education here in Australia, we are seeing increasing use of digital technologies in the classroom, but AR is still something many young people have never got to experience in their own lives – so it’s novel and inspiring for them. But the really key thing for me is that AR experiences take a young person from passively listening to actively engaging with that story. That is something that they really, really enjoy. One of my favorite examples from the book is when the reader explores the penguin’s story and is then invited to scan the Zapcode and ‘become’ the penguin. So with face tracking, they can actually transform into the character they’ve been experiencing and that really brings them closer to the story, and therefore engage more effectively with the important safety messages that the character represents. JW: Is letting young people interact via a smart device intrinsic to the lessons you’re trying to teach in terms of online safety? KM: I think it’s such a great way for kids to use the technology they love in a safe and constructive way within a classroom setting. It links back to key themes tackled in The Surfing Penguin, but it also opens the door for further interactions at home with families. For example, being able to experience this via a smart device is an opportunity for parents to see how technology can be used in a cool way by young people that isn’t a violent game or something inappropriate. I feel that’s really important and that my book is quite unique in being able to do that. Compared to other books dealing with cyber safety topics, my AR-powered book actively demonstrates young people safely using the very technology that the book is talking about. Something that Marc implemented with ZapWorks Studio that’s really emblematic of this is age-gating the social share function when readers are invited to take a selfie using the book’s face filters. You can save a photo to your phone but attempting to share will ask for the user’s age – making both young people and their carers aware of the permissions and restrictions associated with sharing content online. So I guess that’s a way of my book walking the walk, not just talking the talk! JW: So is educating parents and families a core part of the book’s message? Using AR to showcase constructive uses of smart devices with sensible restrictions, rather than just taking devices out of the hands of young people? KM: Definitely – I think a lot of parents can understandably feel overwhelmed by the technology that young people have access to, so it can be hard for them to draw up sensible guidelines around their children using smart devices in the way you would in other circumstances. For example, parents aren’t likely to let their children ride their bicycle down the middle of a street at 2am, yet many do not remove a smart device from a child’s room at night, where they could be interacting with strangers at any hour of the night. The risks can be just as apparent, but it’s harder to process when you’re not informed about the technology associated with it. So there can be some disconnect there in terms of understanding how exactly young people can use their smart devices. I think it’s really important for parents and family members to be involved with young people in this learning process because a lot of online safety issues can be overcome, or at least mitigated, by empowering parents to make informed decisions while their child is at primary school age. Establishing a degree of control over their smart device and setting clear rules about its use is key, so using AR directly connects to that. What I really hope is that this book is an approachable way for parents to learn safety rules themselves and that way, also embrace positive uses of devices. JW: So it’s a collaborative learning curve with parents learning alongside their children? KM: It is and that’s what initially drove me to start working on this series of AR-enabled books. So even though the books have largely been taken up by teachers in the classroom, they do feature reflection questions at the end to guide discussions. So wherever people are engaging with the book, there’s always a space to get everyone thinking and talking about the whole online landscape. JW: So you had some assistance with creating this project in ZapWorks Studio – how have you found creating with ZapWorks previously? KM: My first experience with ZapWorks was also my first ever interaction with creating AR, and I found it really positive! I started out using ZapWorks Designer and it was super easy to use, particularly as it followed a lot of the conventions I was familiar with from other creative tools, such as PhotoShop or Canva. With my latest book, Marc used ZapWorks Studio to implement a lot more complex and exciting AR experiences, such as mini-games, online name generators and of course, leveraging the face tracking technology for the face filters. So it was a bit more sophisticated this time around, moving on from the videos and slideshows you’d have seen in The Tweeting Galah. JW: How did that creative relationship with Marc work – how was it communicating your ideas to an AR designer? We worked predominantly over email – I showed him the stories and explained what I wanted to achieve and he just made it happen with ZapWorks Studio! I wanted to be really creative with it and make something young people would have fun interacting with and Marc really got that. JW: So are you planning to build on that further with ZapWorks Studio? KM: Because of the success of the penguin face filter we implemented in the book, we’ve actually been using ZapWorks Studio for spin-off projects too. We’ve gone and created face filters for all of the animals in the books, so we’re going to implement that into interactive trading cards, inspired by Pokémon and football sticker collecting. So that’s going off to the printers soon and I’m really excited about that. Both of my previous books are available on my website, but recently they’ve been made available on a lot of popular worldwide online marketplaces, so we can reach a market beyond Australia. With the success it’s seen in primary schools in particular, I’m keen to push this further as a learning tool and linking it to my free online lesson resources for teachers, to keep building up the community around the books. So I’d be looking to include these AR-enabled trading cards with the teaching packs so they can be used as classroom rewards, or for early finishers – experiences to enjoy and have a bit of fun with. But I’d also really like to see these being leveraged as a learning opportunity. For example, if young people have experienced a story with a character having to cope with cyberbullying, being able to take a selfie as that character and making an expression just like the character would have felt, is a really engaging way for young people to take that message on. So they aren’t just writing an answer to ‘how does the character feel?’, they’re experiencing it and actioning that through AR. That builds empathy and a deeper connection with the characters. JW: And finally, where you can find out more and grab a copy of the book? KM: You’re able to order directly from my website, alongside a whole host of free learning resources. You can also order it worldwide from Amazon, Booktopia and The Book Depository! As the challenges facing young people evolve in our digital world, so too must the way we reach out and engage with them. AR is a fantastic way to do that – illuminating print at home or in the classroom, leveraging the smart devices young people are comfortable interacting with for a positive purpose. Getting started with AR creation is really easy with ZapWorks – whether it’s with our intuitive drag n’ drop Designer toolkit or our powerful and most feature-rich Studio product – no code required and with a 30-day free trial for you to see for yourself. Our huge range of handy documentation is on-hand to get you started, including detailed walkthroughs and in-depth video guides. There’s also our friendly ZapWorks community over on our Forum – a great place to get feedback, be inspired by our creators or reach out to our expert support staff. Video: The ‚Layered Report‘, produced in collaboration by Zappar, Neuro-Insight and Mindshare UK, showcases research that demonstrates AR’s power to aid memory retention and heighten visual attention – key facets of learning. Providing on-site quality assistance through smartphone technology. Anyone who’s had the pleasure of dealing with customer service during a complex situation will tell you the horrors of communicating an issue over the phone. Whether it be operating heavy machinery, providing IT support, or handling dangerous materials, having an expert at your side would be immensely helpful during situations where over-the-phone instructions just won’t cut it. TeamViewer Pilot, a new service from TeamViewer, offers an elegant new solution to remote customer assistance by using smartphone technology to project 3D augmented instructions onto real-world objects. By signing up for TeamViewer’s monthly subscription service, users gain access to a suite of support tools that provide on-site quality assistance remotely via real-time video streaming and augmented reality enhancements. After setting up a router and connecting to the TeamViewer Pilot app, customers can use their smartphone devices to receive real-time support from remote experts who are able to guide them through problems using on-screen instructions. Tarakos hat die neue Version seiner 3D-Planungs- und Simulationslösung Tara-VR-Builder 2019 herausgebracht. Auto-CAD-Anwender können damit in wenigen Schritten 2D-Layouts von Produktions- und Logistikbereichen in animierte 3D-Simulationen überführen. Aus der Auto-CAD-Datei werden dazu die Namen, Positionen, Ausrichtungen, Parameter und Attribute der gezeichneten Blöcke in das Automation-ML-Format exportiert. Diese Daten werden anschließend in Tara-VR-Builder importiert. Unter Verwendung eines Transformations-Regelwerks wird aus diesen Informationen ein 3D-Modell der Anlage generiert. Nach einem solchen Import von Produktions- und Logistikbereichen in den Tara-VR-Builder steht dort ein vollständiges 3D-Szenario mit animierbaren Objekten bereit. Dies modifizieren und optimieren die Anwender nach beliebigen Kriterien, bis sie die gewünschten Leistungswerte erreichen. HTC released an SDK which allows developers to add finger tracking to their Vive or Vive Pro apps. For the Vive Focus standalone headset the SDK instead provides hand position and gesture recognition. The feature was first announced back in October. At the time HTC seemed to suggest it would not come to the regular Vive, but thankfully they’ve managed to pull it off. However the Pro will give better tracking quality thanks to its dual cameras. 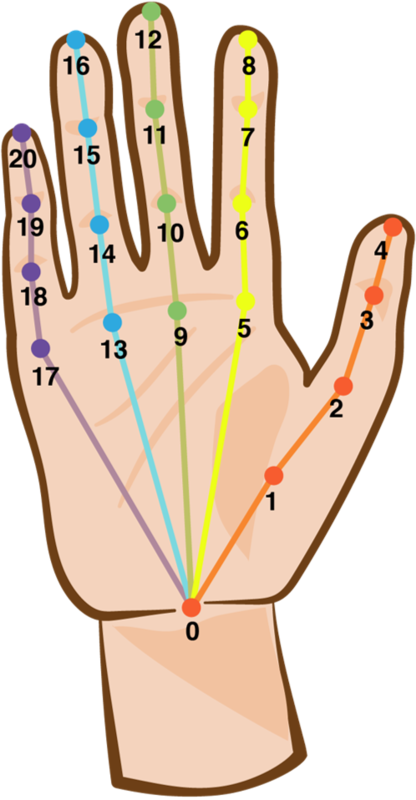 The software tracks 21 points on the hand at up to 30FPS on PC. On Vive Focus, the hand position tracking runs at 17FPS. As the tracking runs on the GPU, it shouldn’t affect CPU performance. 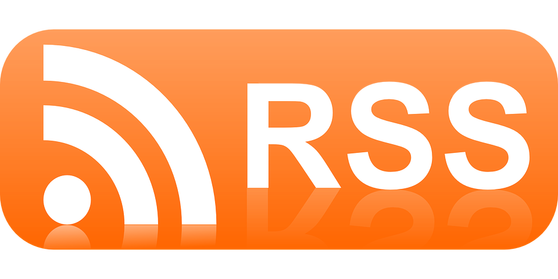 The SDK is available as a free plugin for Unity or Unreal Engine. There’s also a C and C++ API. It’s not restricted to Viveport, so developers can use this in Steam apps too. In non-interactive VR experiences and social VR, controllers often feel more like a chore than a help. The ability to enter these experiences by just putting on a headset and seeing your real hands will be a welcome improvement. Enterprise customers using VR for tasks like architecture visualization often forgo controllers entirely due to this friction. Gaming-style controllers are simply much less appealing to non-gamers than directly seeing your hands. In social VR the ability to gesticulate freely with your real hands adds to immersion and increases social presence. I’ve spent a lot of time in platforms like AltSpaceVR- Leap Motion is by far my preferred method of input. Lets hope these kinds of apps integrate HTC’s new SDK soon. Mit der neuen Software HEGIAS holt sich die Jegen AG ein innovatives Entwicklungs- und Visualisierungs-Tool ins Haus. 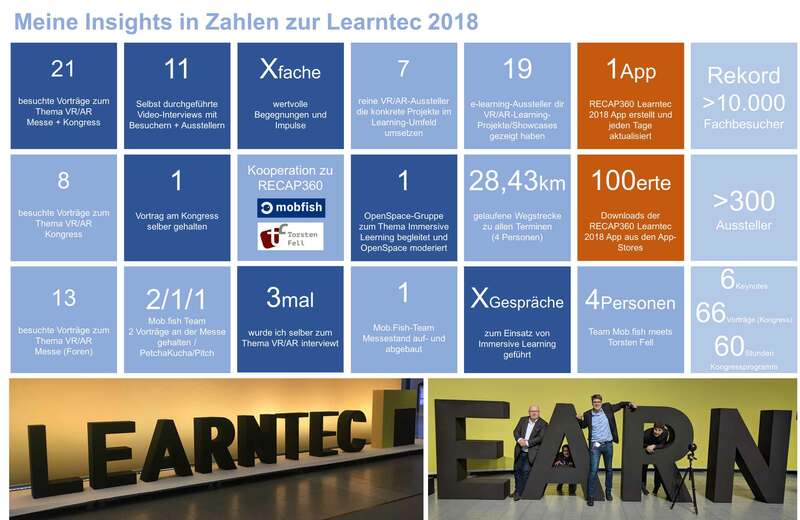 Die speziell für den Ladenbau ausgelegte Version des weltweit ersten browserbasierten und automatisierten Virtual Reality Content Management Systems für die Bau- und Immobilienbranche revolutioniert die Entwicklung, Visualisierung wie auch die Beratung und birgt auch in der Marktforschung und im Online-Shopping grosses Potential. Der Bau- und Planungsbranche stehen spannende Zeiten bevor. Wie die meisten Branchen werden auch sie durch die Möglichkeiten der Digitalisierung derzeit komplett umgestaltet. Eines der stärksten Schlagwörter ist dabei die Virtual Reality (VR). Sie ermöglicht in einer neuen Dimension die fast reale Begehung von Projekten und lässt demnach schon eine Beurteilung zu, noch bevor die Pläne kostspielig in die Tat umgesetzt werden. Bis vor kurzem war die Produktion einer solchen VR-Anwendung ebenfalls mit hohen Kosten verbunden und nur auf VR spezialisierte Agenturen konnten virtuelle Welten entstehen lassen. Mit HEGIAS ändert sich das im grossen Stil. Das Spezielle an HEGIAS ist nicht nur die Realitätstreue, sondern vor allem auch die Automatisierung, welche die Geschwindigkeit in der Entwicklung erhöht und vor allem auch die Kosten stark senkt. Auch ungeübte VR-Anwender können mit dem Content Management System (CMS) ganz einfach Veränderungen vornehmen wie zum Beispiel das Verändern von Materialien, Farben oder das Umplatzieren, Hinzufügen und Entfernen von Objekten. Mit der Software von HEGIAS zieht Jegen seine 3D-Modelle aus dem CAD per «drag n’ drop» in einen Browser und kann diese nicht nur virtuell begehen, sondern auch zu jedem Zeitpunkt der Planungsphase in Echtzeit direkt in der virtuellen Welt verändern. HEGIAS ist zudem multiuserfähig und ermöglicht es Jegen, direkt mit dem Kunden den geplanten Laden gemeinsam virtuell zu begehen, verschiedene Varianten zu zeigen und in Echtzeit Änderungen zu machen. Dazu müssen diese in der Realität nicht im gleichen Raum/Ort sein. Nebst der so viel effizienteren Besprechung von Ladenbaukonzepten und -Plänen mit dem Kunden, können auch Missverständnisse in der Planung ausgeschlossen werden. Da sich die Anwender fast wie in echt, samt Einkaufswagen oder zum Beispiel auch mit einem Rollstuhl oder Kinderwagen durch den virtuellen Laden bewegen können, werden so auch aufschlussreiche Testkäufe möglich. Mittels Head- und Eye-Tracking lässt sich vereinfacht verfolgen, was die Testkonsumenten anschauen, welche Wege sie durch den Laden wählen und was sie in ihren virtuellen Einkaufskorb packen. Und dies auch, wenn das Geschäft eine Überarbeitung des Layouts bei bereits laufendem Betrieb benötigt. Ebenfalls wird die Technologie dem stationären Handel die Möglichkeit bieten, ihr digitales und analoges Geschäft 1:1 miteinander zu verbinden. Denn die Online-und Offline-Welt sollten vom Handel definitiv nicht getrennt voneinander gedacht werden. In Zukunft wird die Multiuser-Funktion umso wichtiger, je mehr Personen sich virtuell von einem Verkäufer beraten lassen möchten. Accenture, Qualcomm, and Kellogg have launched a pilot test that uses eye-tracking technology in a virtual reality headset to determine the best way to stock shelves for retailers. The companies believe VR has a chance to transform retail merchandising by enabling companies to do market research faster, more affordably, and on a larger scale. Raffaella Camera, a leader in Accenture’s Extended Reality group, said in an interview with VentureBeat that the VR solution includes a Qualcomm chipset and technology from Tobii, which makes eye-tracking solutions. With such VR headsets, retailers can track where a headset wearer looks when walking down virtual aisles. Camera said that puts to the test theories such as whether people look at the top of a shelf for new products when they are shopping. Camera said the demo shows the business value of VR, as it has resulted in an 18 percent increase in brand sales during testing with Kellogg’s products. The Accenture Extended Reality (XR) practice developed the VR merchandising solution utilizing a Qualcomm VR reference design headset, powered by Qualcomm Snapdragon 845 Mobile VR Platform. The result uses embedded eye-tracking, along with mixed reality software from InContext Solutions and eye-tracking data analytics capabilities from Cognitive3D. This immerses consumers in a full-scale, simulated store, enabling them to move through the space, shop, pick up products, and place them in carts, and it enables businesses to observe what consumers are looking at, for how long, and why. The mobile solution is designed to allow companies to extend their reach to more geographically dispersed participants and perform market research more effectively. The solution was tested in collaboration with Kellogg for the launch of its new Pop Tarts Bites product. The mobile VR eye-tracking technology provided far deeper behavioral data than standard testing, which typically relies on online surveys and in-home user tests, Camera said. In fact, this new data led to insights that directly contradicted assumptions reached by traditional methods. Rather than placing Pop Tarts Bites on higher shelves, which conventional testing indicated was where consumers expect to find new products, the VR solution demonstrated that optimal placement for the new product was on lower shelves. This is what led to the aforementioned increase in brand sales of 18 percent during testing. “XR provides transformative value to the enterprise,” said Patrick Costello, senior director of business development at Qualcomm Technologies, in an interview. This pilot represents an important step in transforming retail merchandising. Brands spend considerable time, money, and manual effort determining optimal product placement and assortment on store shelves, as well as arriving at a pricing strategy. However, these efforts tend to be limited by the depth and quality of available data. Expanding testing reach to diverse locations. Companies can invite geographically dispersed consumers to use the mobile VR headsets for product testing in their homes, at brick-and-mortar stores, during product road shows, or at any large consumer gatherings. Improving experience in branded environments. Shoppers can walk through realistic and branded virtual store models, look at shelves at their discretion, pick up and examine products, and place selections directly into their carts. Increasing the dataset for analytics. During the shopping process, companies can gather data using eye-tracking technology that is built into the VR headset in a manner that does not interrupt the shopping experience. The resulting analytics provide detailed insights into actual consumer behavior, such as which products attract their attention, where they look first or gaze longest, and what helps to trigger buying decisions. The VR merchandising solution will be on display at MWC 2019 Barcelona from February 25 to 28 in the Accenture booth. Above: Accenture’s plan for virtual retail analysis. 1. There are multiple app stores to find content and some of the content can only be found in certain app stores. 2. Not all the stores have an easy to find Education section. 3. Some content which would be great in the classroom isn’t actually tagged as educational. 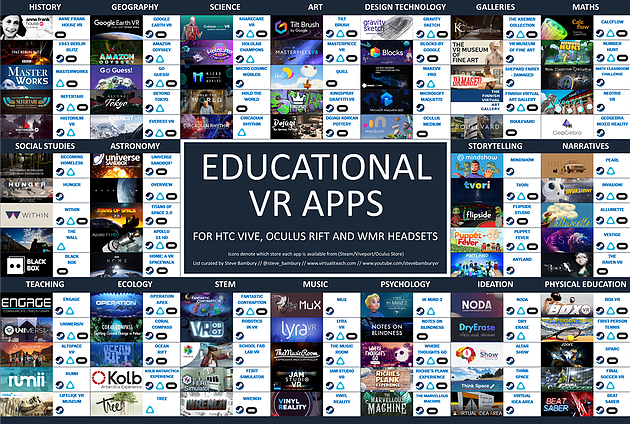 As such I decided to scour the three main stores – Steam, VivePort and The Oculus Store and curate some of the best educational apps into one handy resource. I decided that rather than take the same approach as with the Periodic Tables of AR/VR for iOS that I ghave worked on with the mighty Mark Anderson (find Vol.1 here and Vol.2 here), I would work with a limit of 5 apps per subject so I’ve essentially curated my top 5 PC VR apps for each of the 18 subjects and themes. You can download a high-res PDF version of the graphic by clicking on this link. As it states in the middle of the graphic, each app is tagged with icons for Steam, Viveport and/or the Oculus Store signifying which platforms they are available on. Please note that which headsets they work on is not necessarily so clear. For example, a whole bunch of apps on Steam are not labelled as Oculus compatible but pretty much everything on there will actually work on a Rift. Conversely, apps downloaded from the Oculus Store will only work on a Rift. 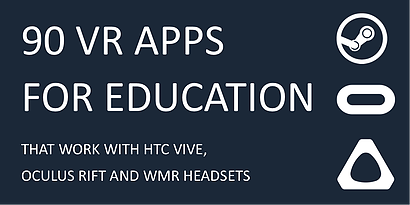 You can use the Revive platform to run some Oculus apps on a Vive/WMR but the performance can be poor so I don’t recommend it for schools. Vive have taken a more open stance and last year made Viveport content accessible to Oculus users – a lesson that I wish Mr Zuckerberg and Team Oculus would learn from! I have to say thanks to my good friends Chris Madsen, Chris Long and Mike Armstrong for some app suggestions and invaluable proof-reading. 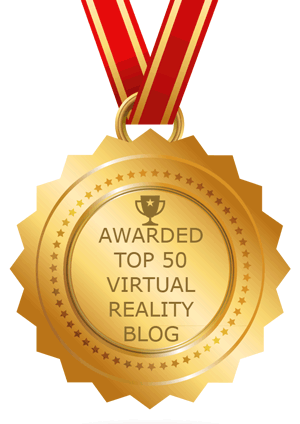 Feel free to share the graphic with other educators you know who are pioneering VR in their schools and institutions as well as across your social media channels. Brisbane, Australia-based group #include today released a new app called ViewR that lets you observe a PC VR session in action from an Android mobile device. ViewR essentially inserts another camera into the VR game, letting a spectator hold up their Android phone or tablet to watch what’s going on, replete with positional tracking for the non-VR observer. Up to four devices can connect into the space at once. ViewR is available as a Unity SDK that developers can include in the VR games for free, but individual gamers can also run the ViewR PC installer to add the functionality to an existing game too. To date, the studio has modded ViewR into Superhot VR, Beat Saber, and Budget Cuts to demonstrate just how powerful the concept is. You can download ViewR for free today, which includes the PC installer and an app that supports Android 4.4 (KitKat) devices or higher; those devices are capable of calculating positional tracking on their own, although older phones will require the use of a Vive Tracker to play. Support for both OSX and iOS is currently on the studio’s road map, and could arrive sometime next year. The company says that since ViewR is WiFi intensive, a WiFi access point capable of 802.11n or higher is ideal for optimal performance, with as few devices connected as possible. Microsoft Garage today revealed its latest project, Sketch 360. Sketch 360 is a drawing app for Windows 10 devices that be used to create 360 drawings from a single point looking out in all directions. It enables anyone to easily sketch and prototype 360 degree VR scenes. These created 360 sketches can be viewed in a web browser or on sites like Kuula.co or Facebook which support 360-degree photos. “Sketch 360 is another really exciting tool for designers, just like Microsoft Maquette will be for in-device rapid creation. We want to empower creators to be more productive with Windows Mixed Reality and this Garage project joins a group of experiences all aimed at that. Microsoft Maquetteis a mixed reality tool for creating immersive prototypes using a PC VR headset. While Maquette strives to make spatial prototyping fast and easy with a focus on 3D objects, Sketch 360 focuses on the setting around those objects. Designers can use these two, complementary experiences to prototype both the environment of a VR experience and the elements within it,” said Tom Mignone, a Program Manager on the Mixed Reality User Experience team. Download the app here from Microsoft Store. Mit dem Viewer M4 Virtual Review von CAD Schroer können Planer mit Hilfe der virtuellen Realität in ihre 3D CAD-Planung eintauchen und diese weiter optimieren. Konstrukteure, Ingenieure und Projektleiter haben oft das Problem, dass Sie Feedback zu neuen Bauteilen, Maschinen oder Anlagen erst dann erhalten, wenn bereits Aufwendungen in einen Prototypen geflossen sind. Bei einer Anlage ist dies gar erst der Fall, wenn sie montiert wird. Fehler oder Optimierungspotenziale werden damit spät erkannt. 3D-Konstruktionsdaten mit Hilfe einer VR-Brille betrachtet werden. Somit können Mitarbeiter aus der Konstruktion die Planung frühzeitig betrachten. Werden diese 3D-Daten durch Kollegen aus der Montage oder dem Service in der VR geprüft, können Optimierungen vorgenommen werden, die sonst erst bei der Montage oder der Wartung aufgefallen wären. Die virtuelle Realität eröffnet auch dem Vertrieb und dem Marketing einen Weg, die eigenen Produkte zu präsentieren. So können Kunden in das Produkt eintauchen. Im Marketing kann der Viewer auf Veranstaltungen für Produktpräsentationen eingesetzt werden. 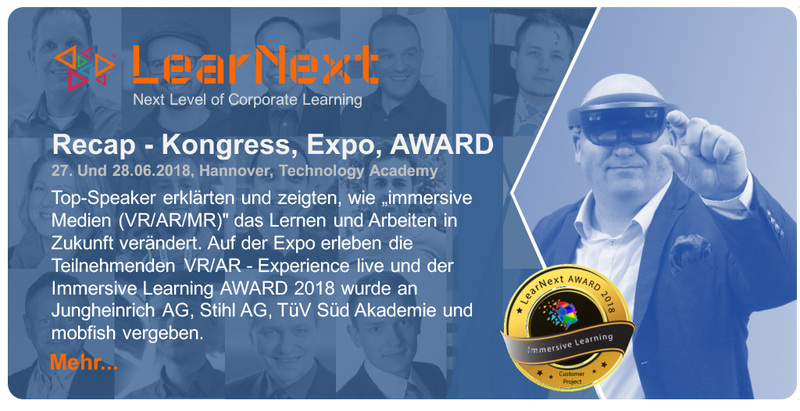 Der Vertrieb kann alle Maschinen zum Kunden mitnehmen und diese mit Hilfe eines Laptops und einer VR-Brille direkt in einer Kundenpräsentation vorstellen. Der VR-Viewer kann direkt beim Hersteller bezogen werden und ist mit Hilfe der in Windows 10 standardmäßig enthaltenen VR-Umgebung schnell einsatzbereit. Mit den modernen Mixed Reality-Brillen können nun CAD-Daten in die VR-geladen werden. Dabei kann der Viewer auch mehrere Modelle einladen und ist damit ebenfalls für einen Vergleich mehrerer Planungsalternativen geeignet. Bei der Bedienung wurde auf die Benutzerfreundlichkeit geachtet, so dass sich neue Benutzer schnell zurecht finden. Wer den VR-Viewer testen möchte, kann sich direkt an den Hersteller wenden. 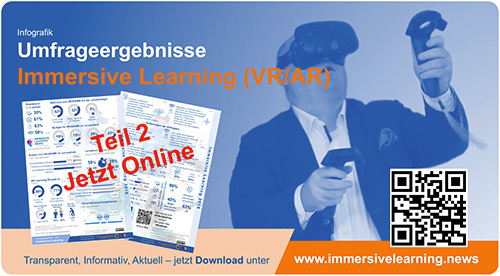 Das Unternehmen bietet neben dem VR-Viewer die Möglichkeit, die Software individuell auf die Anforderungen eines Unternehmens anzupassen. Zusätzlich entwickelt es individuelle Applikationen zur Präsentation von Engineering-Daten in der erweiterten oder virtuellen Realität (AR und VR).